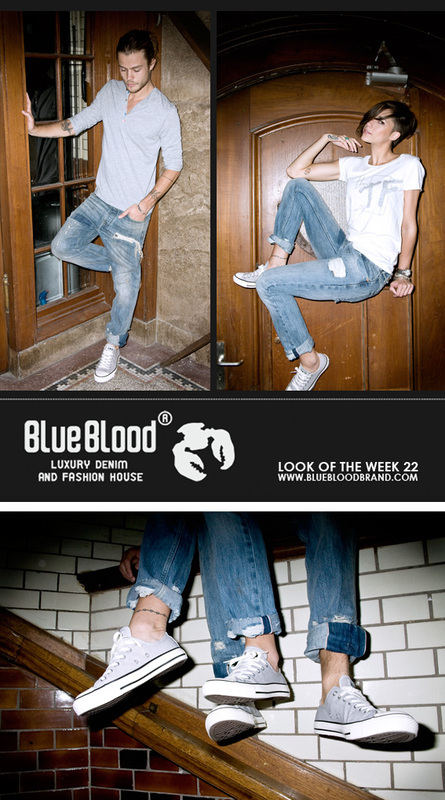 We would like to show you the new Blue Blood look of the week. For men we have a Blue Blood longsleeve combined with the Steve Fat Slim in wash ‘Gok’. For women we combined a Zoe Karssen Tee with a Boyfriend denim also in wash ‘Gok’. When you buy this look in one of our stores you will receive a 10 % discount on the items. The Blue Blood clothing is also available on our webshop. this weekly offer is valid till Thursday 9th of June. Other brands are not available in all our stores. Please let us know if you like it ! B.B.